Hello guys , As you may or may not know, I am heading to America very soon for my cousins wedding. As the date is getting closer I am preparing myself for the flight. This will be the longest flight I have been on so I thought I would share what I am taking with my on this long haul flight. Keeping myself occupied is number 1 , I haven't been a good traveler so I really need to keep myself busy. To accompany my electrical I am taking my Power bar, having everything charged throughout, like I said is super essential so this is just a back up just in case. I find Power Bar super useful and I would recommend them. While I said that I need my music to keep me entertained, I am going to take a few books with me. I have't really had a chance to sit down and read, I thought this would be the perfect opportunity to do so. I am still working my through Eleanor and Park so I thought this would be a perfect time to finish it. 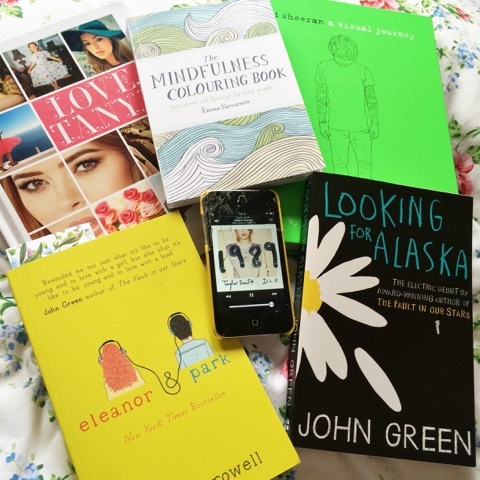 I am also taking 'Looking For Alaska', I have been wanting to read this for forever so now is my chance. The one thing that I am most excited to take with me is the Mindfulness Colouring book. Ever since I bought it I have always had it planned to take with me. I hoping it will be very relaxing on the plane and help me get through the flight. Being comfortable is also super important , so I will be taking my head cushion. I received this a few years ago for travelling and it has done me well. It is super comfy, as I have been on short flights before I know this will be super comfortable. Although I am heading to Las Vegas, I have been advised that the flight will be highly air condition. I would however be too cold than hot but I will be taking a blanket. This blanket is fast becoming my favourite. 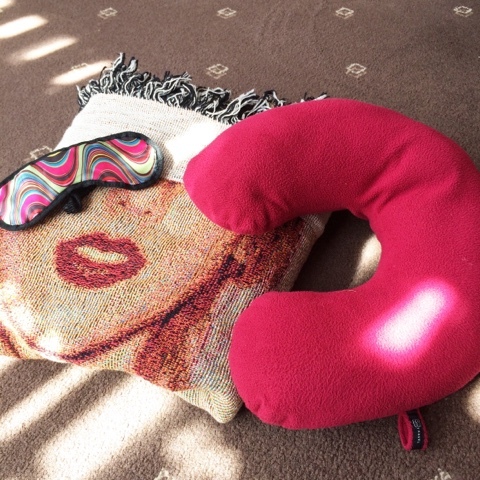 I purchased this blanket when I was at Taylor Swift last week. It was quite expensive but I feel I will get my wear out of it. It is soft and will be perfect for this flight. I am quite a heavy sleeper so falling asleep wont be that much of a problem, but just in case I am taking my eye mask with me. I tend to wear my eye mask at night anyway but this is to help my fall rest on eyes on the flight. the things that I feel will help me get through the flight. so my posts may not be as regular as normal but I will try.